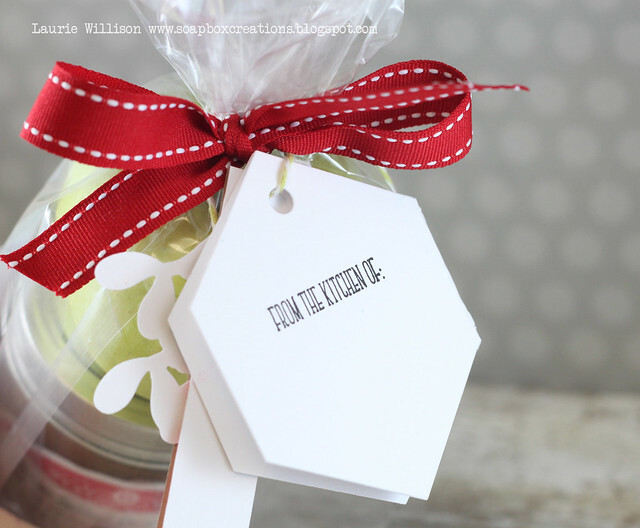 This first project is a little Carmel Apple gift package inspired by THIS jar gift on Pinterest. 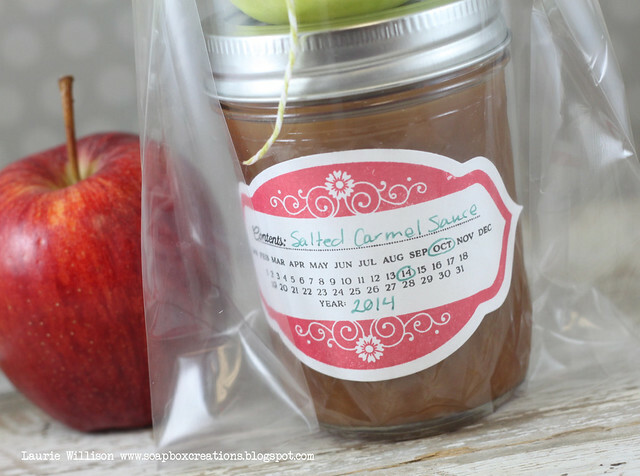 First, I made up some Salted Carmel sauce and added it to this 8 oz jar. I stamped this adorable frame in red onto the die cut sticker. Then I added in the date stamp in the center in black ink. The tag is actually made up of 4 tags. I wanted to give it a layered look with several things to look at. 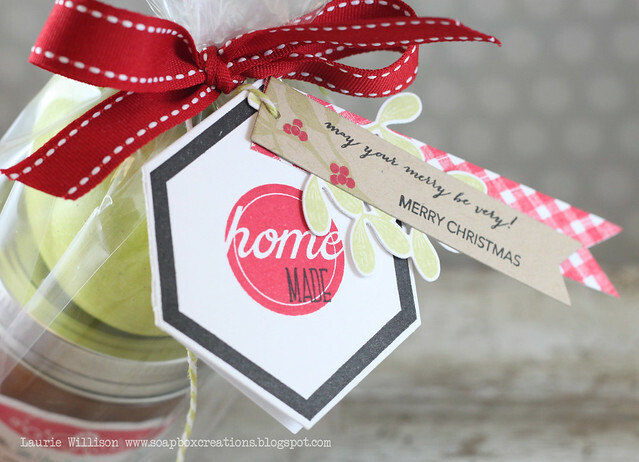 The top tag is a kraft banner die cut, where I stamped the mistletoe and berries on the end, is also the main sentiment. The "may your merry be very!" is from the same Merry Kiss-Mas set as the Mistletoe. The Merry Christmas is from the new Snow Globe Additions. 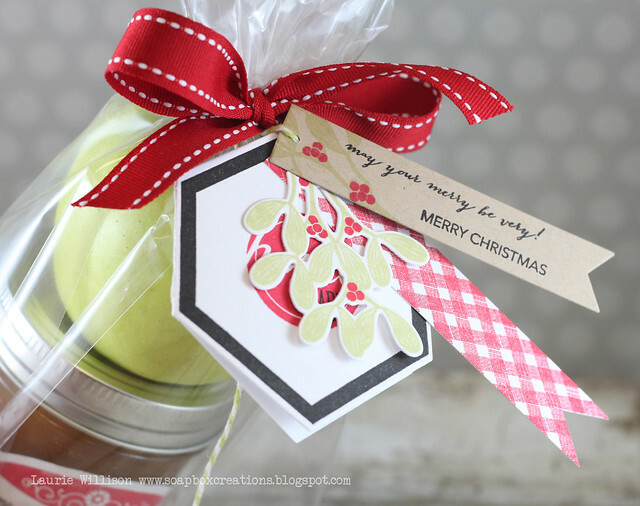 I die cut and stamped the mistletoe next and made a tag out of it as well. The gingham banner in the Canned set is another tag in the stack. And then last is the hexagon tag, also from the Canned set. I stamped the frame in black and then added in the "home made" in the center. 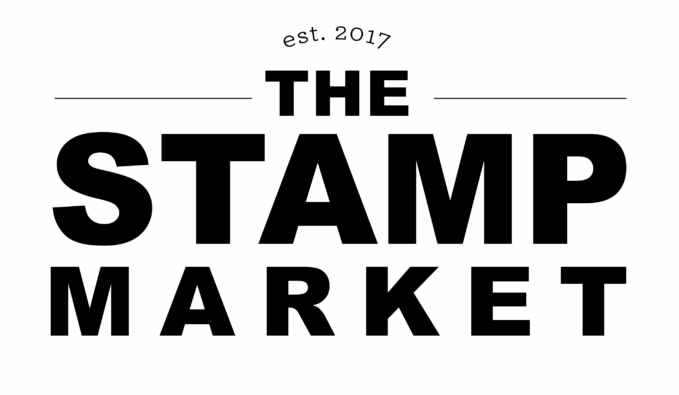 Another fun addition in the Canned set is the From the Kitchen of: stamp. So cut for the back of the tag. 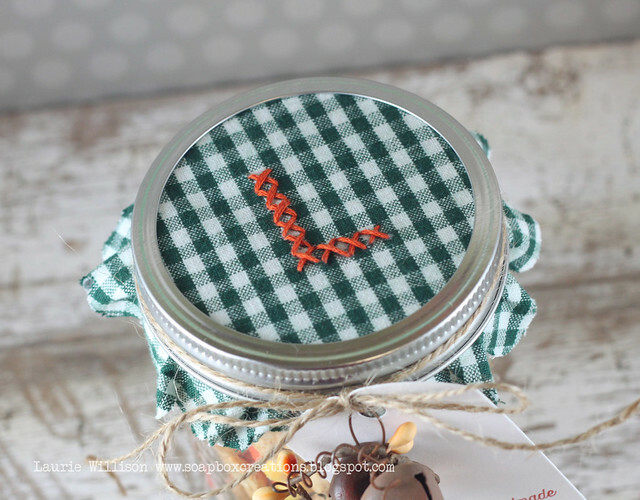 The next project is a little cross stitched jar bonnet on top of a little fall treat. I used some iron-on interfacing on the back of some green checkered fabric and I was able to cut out the bonnet perfectly with the die. I stamped the Cross Stitched images on the top of the fabric to form the L. I put the fabric in an embroidery hoop and stitched it up with some orange floss. 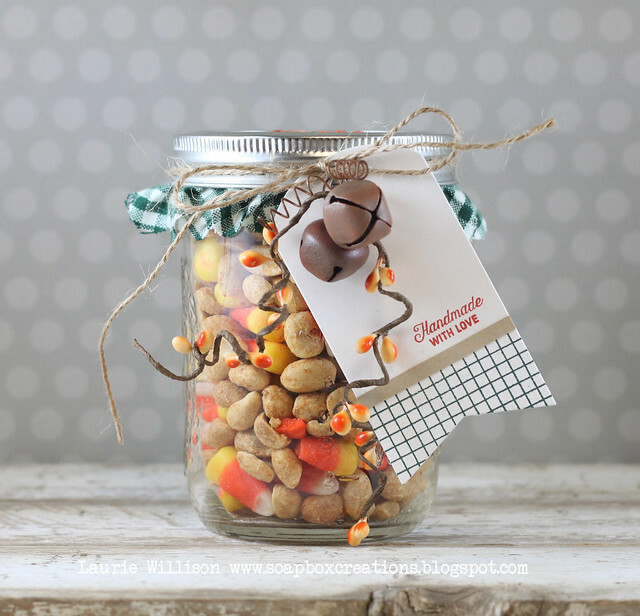 Then I added in a tag and some fall decorations to the jar. 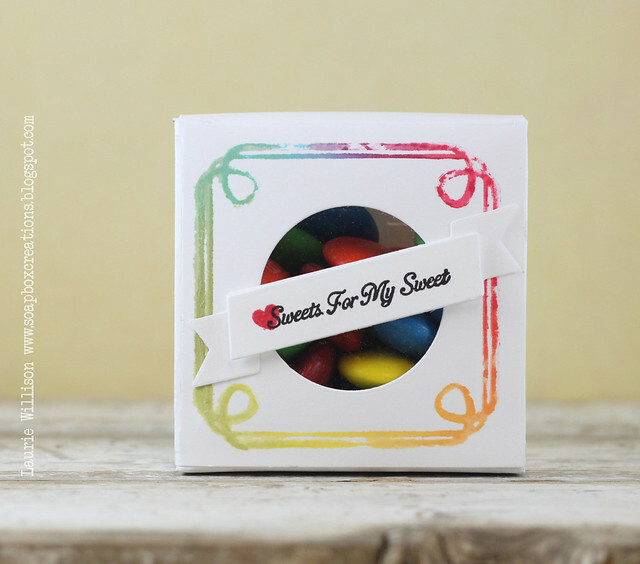 The tag is made using the Cross Stitched stamp set as well, with a fun little sentiment to finish it off. 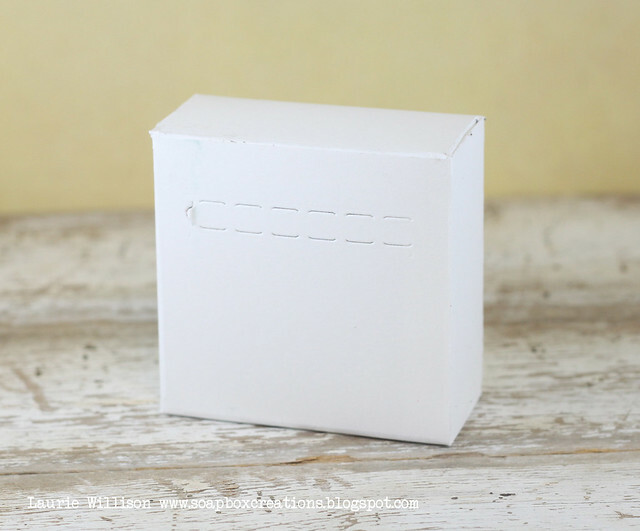 Lastly, I have a little treat box using the new Vintage Favor It Treat box die and the new coordinating stamp set called Just a little something. I made this into a Valentines day theme. I added in a watercolored frame and then added in a little banner and a sweet sentiment. So this is it for today! 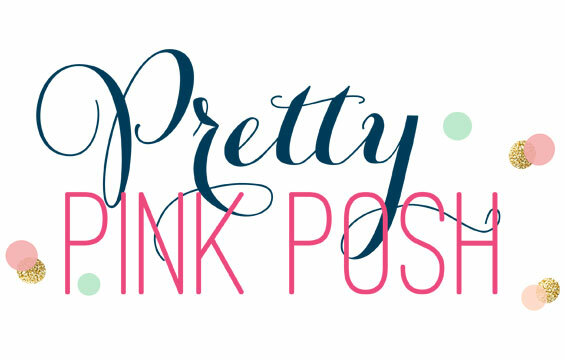 I hope you have enjoyed my projects and I can't wait to hear what you think. Check out the rest of the DT for more Holiday gifts! 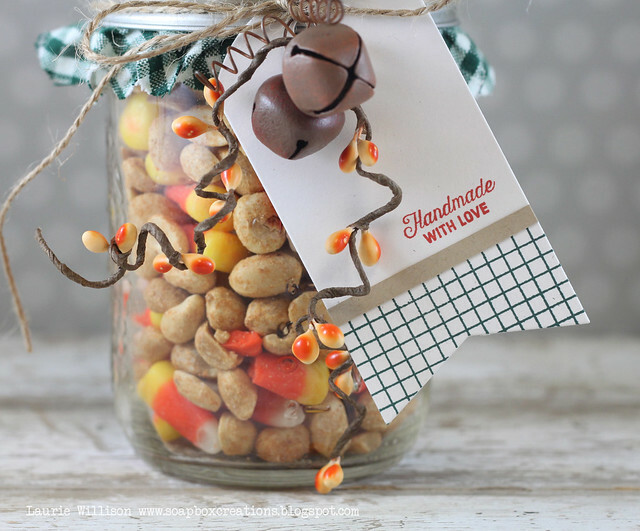 You got me, my very favorite treat...candy corn mix! Ack! Plus, I know I'll be making that salted caramel dip. Gotta love Pinterest! And your projects! Oh, these are all fantastic, Laurie! 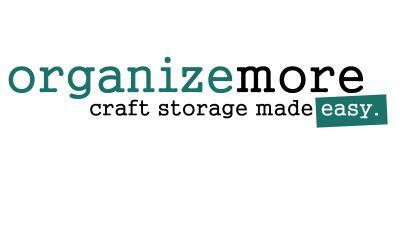 These are all swoon-worthy projects! 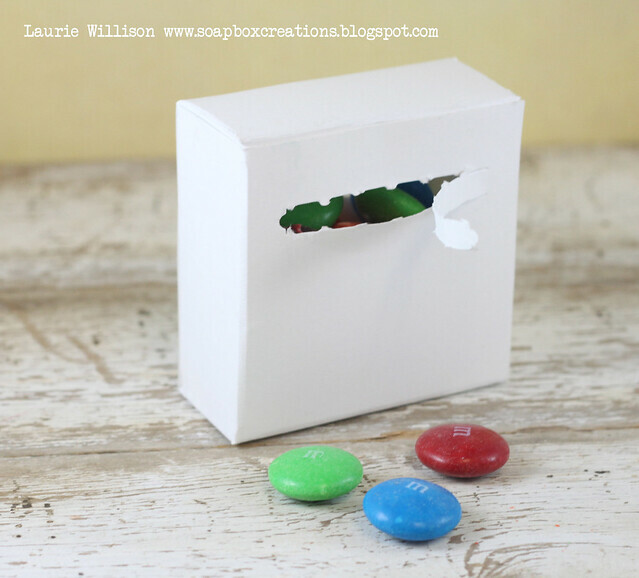 And making a Valentine's treat from the favor-it box -- this project has sold me on it! So many great gift ideas! 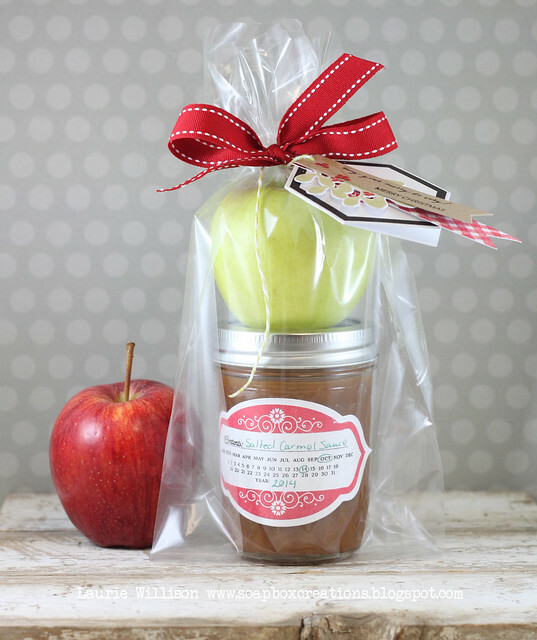 I especially love the caramel apple set. So yummy! Thanks. Love each and every one of these Laurie! You are always so creative and your projects always make me smile :). Such fun filled jars and boxes. Love the tags you created. Your projects are wonderful! The little box is just so good! Love your beautiful packaging Laurie! Thanks for the inspiration!